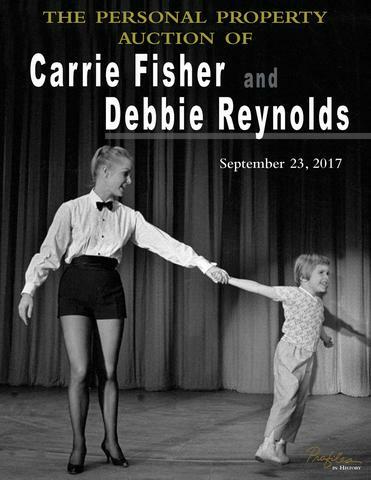 “`For fans of the late mother-daughter duo of Debbie Reynolds and Carrie Fisher, consider this your chance to own a once-in-a-lifetime artifact that was a part in their lives. 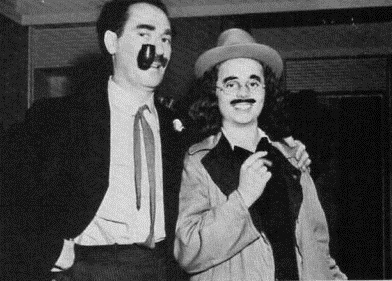 Later in her life, Reynolds was well known for auctioning much of her MGM memorabilia. “`Profiles in History, the popular auction house, has announced 1,500 of Fisher and Reynolds’ possessions will be sold in an authorized personal property auction on September 23rd. This public event is being held in anticipation of their legendary compound being put on the market; located in the heart of Coldwater Canyon. “`The auction house promises the items offered will be an extensive mix. They include Reynolds Ruby Slippers from The Wizard of Oz; her original half-sheet movie poster of Singin’ in the Rain; Fisher’s life-size C-3PO; and her on-set chair used on Return of the Jedi. “`Part of the proceeds of the auction will benefit two charities: The Thalians, founded by Reynolds in the 1950s to tackle mental-health stigmas; and the Jed Foundation, dedicated to suicide prevention. “`Their legendary Hollywood estate property has a true Hollywood-pedigree. An original 1928 hacienda-style home rests on 3.5 lushly landscaped acres, and includes a long line of famous former owners, such as the Oscar-winning costume designer, Edith Head; Robert Armstrong, King Kong’s captor in the original film; and Bette Davis. “`Own a celebrated piece of Hollywood history. Debbie would endorse this auction, if she were still with us. This entry was posted on Sunday, July 2nd, 2017 at 1:32 am	and is filed under Blog by Manny Pacheco. You can follow any comments to this post through the RSS 2.0 feed. Responses are currently closed, but you can trackback from your own site.